General Motorls will offer consumers the option of wireless charging for mobile devices in some of its automobiles, Bloomberg reported this week. Select GM models will be equipped with Powermat wireless charging surfaces, which will require compatible devices that either have wireless charging capabilities built in or are paired with a wireless charging case. The collaboration was confirmed by Powermat Technologies CEO Ran Poliakine, though GM has so far declined to comment. Powermat’s Duracell chargers are already in place in some Silicon Valley, Boston, and New York Starbucks locations. In declining to comment on the Powermat CEO’s comments, a GM spokesperson did confirm that the automaker is at least working on wireless charging technologies. Wireless charging is currently featured in a number of high-end smartphones, but the technology has yet to take off, due in part to competing standards. 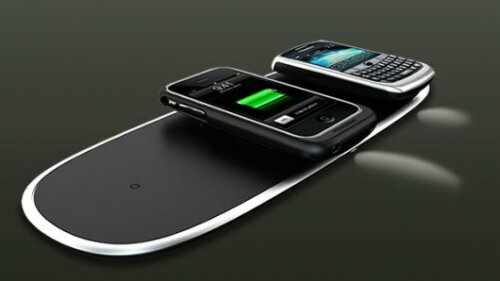 In addition to Powermat, there is also the Qi wireless power technology, which is featured in a number of mobile devices. Qi’s technology is also built into the 2013 Toyota Avalon.